Cat Discovers Something Stuck In A Box, But When He Tries To Figure It Out…LOL, This Is SOO funny!! Kitty finds a new friend…but something’s a little bit off. His new friend is stuck in a box! The curious cat tries to help and rescue him, but every time he pushes the button, his new friend goes away! 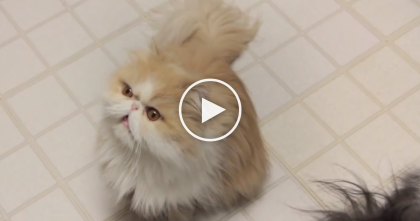 This adorable cat is clearly puzzled and can’t figure out what’s going on! How can he help his new friend?? 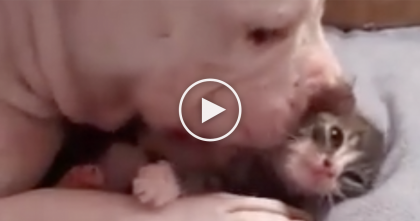 You won’t stop smiling at how cute this is – the sweet kitty is trying his best! 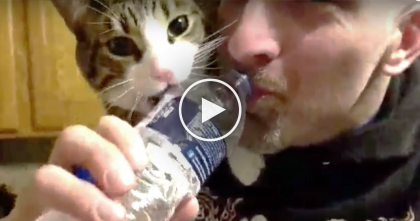 What an adorable kitty; he tries so hard—SHARE this funny video with your friends! 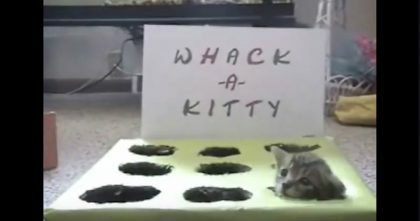 Kittens Won’t Stop Playing, So They Created The Funniest Game You’ve Ever Seen… Hahaha!! 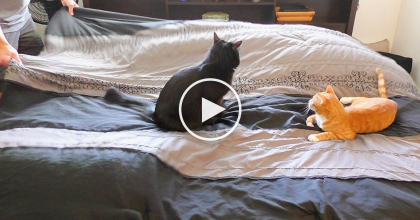 When These Cats Notice The Microwave, Just Listen To Their Reactions… LOL, This Is Hilarious! Every Time He Makes his Bed, It Takes A Long Time… The Reason Why? Just Ask The Cats!